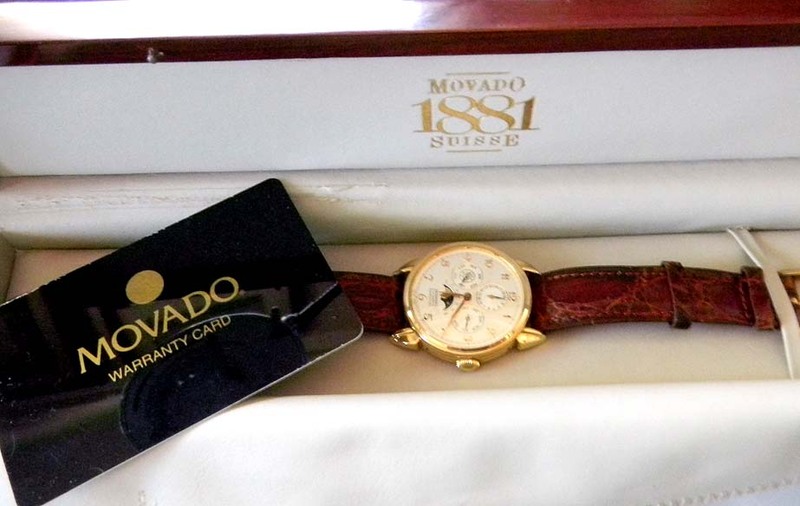 Movado 18K gold perpetual moonphase automatic vintage wrist watch circa 1995 with original box. 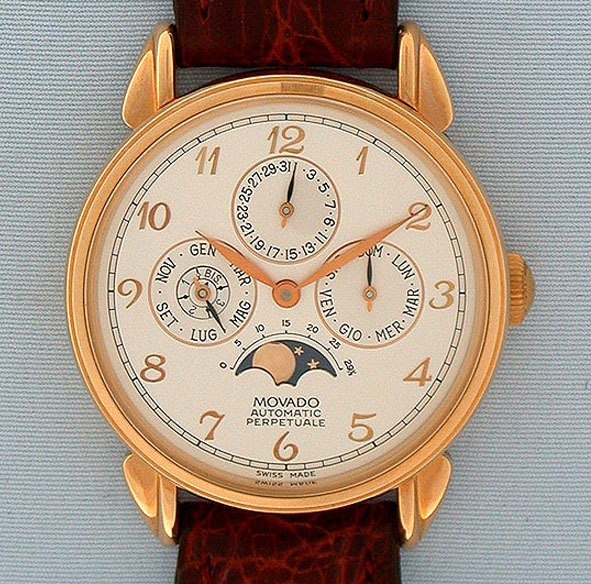 Two-tone dial with applied gold numerals and gold hands. 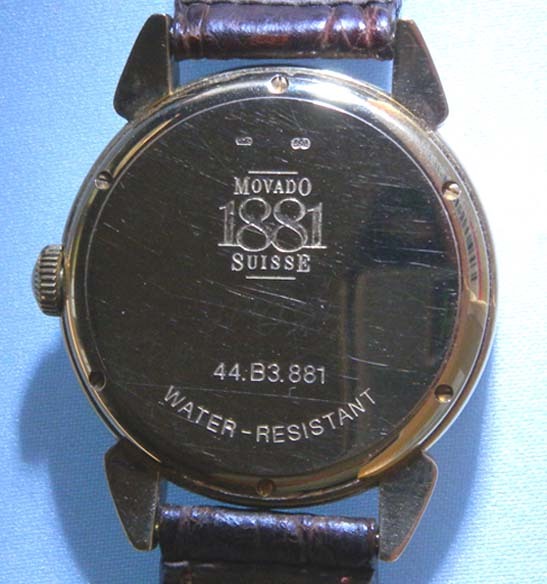 21 jewel movement The case with downward sloping lugs and screwed back. Like New.